Agree with you almost 100%. Uma Thurman is a favourite actress of mine and she was no good in this at all, but I really liked the inclusion of Alicia Silverstone's Batgirl and that arc. A high point in an otherwise below average film. To a degree I like the inclusion of Batgirl. What bothers me the most though is, how she found out about Batman and her non-reaction to this revelation. 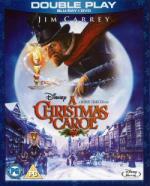 From Walt Disney Pictures comes the magical retelling of Charles Dickens' beloved tale - Disney's A Christmas Carol, the high-flying, heartwarming adventure for the whole family, starring Jim Carrey. When three ghosts take penny-pinching Scrooge on an eye-opening journey, he discovers the true meaning of Christmas. Complete with spirited bonus features, this exhilarating and touching Disney classic is destined to be part of your holiday tradition, adding sparkle and heart to all your Christmases yet to come. I saw this movie in the cinema in 3D. It has good use of the 3D. I think this was the first time that I saw a faithful adaption of Christmas Carol. Before this I only knew the story from the many allusions in other stories, like Scrooged. Since then I saw the George C. Scott version, which I also enjoyed. And I have the Patrick Stewart version and the Alistair version in my unwatched pile. As an extra on this Blu-ray, you can watch the movie with the motion capture performance instead of the animation. Amazing what the actors achieved here. Especially Jim Carrey. It may be his best performance yet. Digitally remastered, Alastair Sim's SCROOGE is the all time favourite Christmas family film and a genuine classic of British Cinema. SCROOGE is the definitive big screen adaptation of Charles Dickens' A Christmas Carol, one of the world's best loved Christmas stories. This seems to be the most well-received movie adaption of Christmas Carol. I enjoyed it. 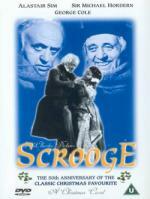 A lot of Alastair Sim's performance of Scrooge reminded me of Jim Carrey's version. Those two movies are very much alike. Disney presents a high-tech motion picture unlike anything you've ever seen. Immerse yourself in the digital world of TRON, as celebrated actor Jeff Bridges stars in a revolutionary visual effects adventure beyond imagination. When Flynn, the world's greatest video game creator, sends out a secret signal from an amazing digital realm, his son discovers the clue and embarks on a personal journey to save his long-lost father. With the help of the fearless female warrior Quorra, father and son venture through an incredible cyber universe and wage the ultimate battle of good versus evil. 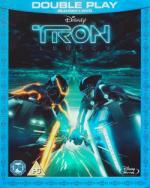 Bring home an unrivaled entertainment experience with TRON: Legacy in stunning Blu-ray High Definition – complete with never-before-seen bonus features that take you even deeper into the phenomenal world of TRON. Just what I expected: A fun CGI spectacle. The action was well done. I liked the effects. I hope they will not age as badly as the original Tron did. I read that there is a sequel planned, which continues right after the finale of this one. I hope this because I am curious how it will continue. It is Christmas Eve 1843, and Ebenezer Scrooge (Patrick Stewart) has just buried his longtime friend and business partner, Jacob Marley. Understandably, Scrooge is in a melancholy mood as he returns to work. Seven years later, Scrooge's bad mood has become a perpetual state of mind. His loyal, but meek clerk, Bob Cratchit (Richard E. Grant), is the constant target of Scrooge's cruelty and bitterness. Scrooge's nephew, Fred Bowley, spreads Christmas cheer, but all his uncle can say is "Bah! Humbug!" Scrooge finds himself alone in his office on Christmas Eve. He hears the rattling of chains and sees before him, the ghost of Jacob Marley. Marley warns Scrooge that the suffering he causes others, he will have to repay—even in death, and warns him that there's only one chance to escape that fate. He also informs Scrooge that three spirits will visit him and he is to obey them in order to redeem himself. At first I thought it a little strange to see Patrick Stewart as Scrooge. He seems a little young for the role. But he has ten years in a one-man Christmas Carol show under his belt and he did a good job. That he can do crumpy, I always believed. Look at his early interpretation of Captain Picard. Compared to the other adaptions I have seen, Scrooge seemed a little restrained at the end when loosened up. Evelyn Salt, eine bewährte und loyale CIA-Agentin, muss fliehen, als ein russischer Überläufer ihre Vorgesetzten davon überzeugt, dass sie eine Doppelagentin ist, die den amerikanischen Präsidenten töten soll. Bei der Hetzjagd auf sie setzt Salt all ihre Fähigkeiten als Geheimagentin ein, um nicht geschnappt zu werden. Das Geheimnis, das sie dabei enthüllt, könnte den Lauf der Weltgeschichte ändern. Keine Geringere als Hollywood-Superstar und Oscar®-Preisträgerin Angelina Jolie spielt die Hauptrolle als CIA-Agentin auf der Flucht in diesem actionreichen Thriller, der einen bis zum Schluss in Atem hält! The first time that it happened to me that a Blu-ray didn't play on my player and I had to do a firmware update (haven't done one for over two years). I really enjoyed this action movie. 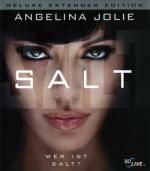 Even though it was rather predictable, but it had great action scenes and that is what counts for this kind of movie. I watched the director's cut version. I finally got to see this a couple of weeks ago, and after assessing it against all the other versions of this story, I have to place it near the bottom. It's all too neat and tidy of a telling. There's no real atmosphere to the setting. And of course, Stewart basically plays Picard, as he has done for almost his entire career. He's always come across to me as a one note type actor. I was watching I, Claudius and also Fall of Eagles and the man has no dimension at all. Akari is a 14-year-old schoolgirl living in Japan's northern island of Hokkaido. One day, a puppy wanders into her yard, a Golden Retriever with white paw markings. Akari names her "Socks". Akari's mother consents to her keeping the dog but only after she agrees to abide by "10 promises" from Socks herself. Akari enthusiastically assents and the two begin their journey to adulthood together. Akari finds herself having to overcome many changes and challenges. But at every juncture, Socks is there to provide unquestioning love and support. A nice movie which I enjoyed throughout, even though there aren't really any surprises. The ending is emotional and done well in my opinion. Join the club and bring home the fun with Glee Karaoke and Glee Jukebox – available only on DVD and Bl-ray! A talented group of high school misfits transforms into a performing sensation with the help of a dedicated teacher. Through laughter, tears, irreverent humor and unforgettable music, they learn to follow their hearts and chase their dreams. After the pilot I was not sure if this series will get above an okay series for me. As a matter of fact it took the whole first disc to convince me otherwise. But after the first few episodes I was hooked. I like how they integrate the music into the storylines. And I like the music choices for the most part. 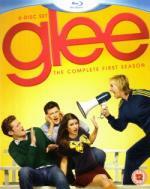 Also Jane Lynch is playing a great nemesis for the glee club as the coach of the chearleading team. I couldn't resist ordering the second season now, even though I usually wait until the price drops to about half of what it currently is. It's great that the Blu-ray has on each disc direct access to the songs (even with a play all feature). Yes it's predictable, but it had an easy charm that was very unexpected. It is weird how they use the music, but it gives it character. I have to say that I do love this movie and I do like the music, especially the We Will Rock You opening.